Rami's Food Truck is on the road and serving Middle Eastern cuisine to the Boston area. 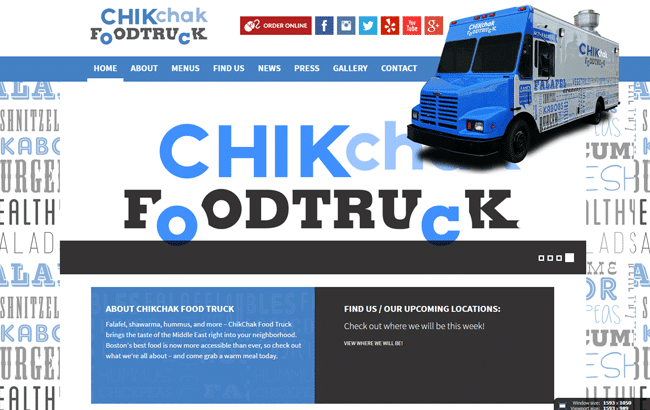 GoingClear helped by providing ChikChak with a fresh and clean look for their website. which was an added challenge because we also had to consider the branding of the Brookline, Ma restaurant to keep the design unified and recognizable. 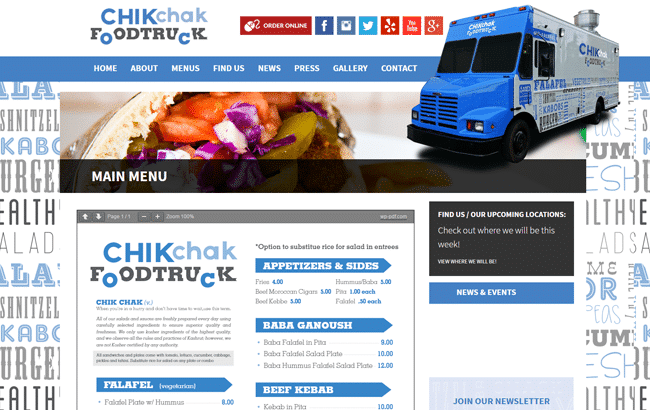 Other features included a custom admin option that allows the business owner to update the location of their truck anytime to help get the word out. 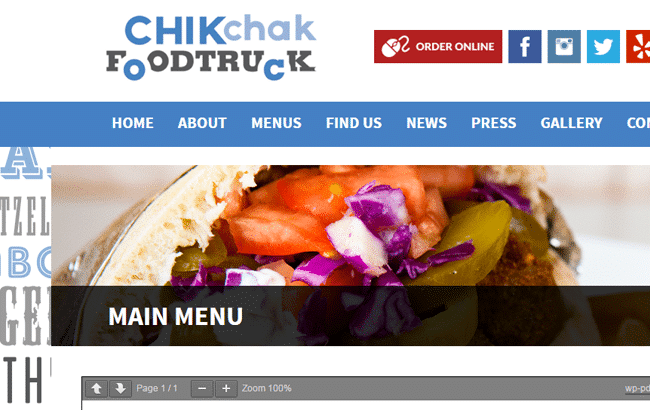 The new ChikChak website was built using a Content Management System (CMS), and is Fully Responsive Mobile & Tablet friendly so it will display well on any device.